New York, 21 July 2017 - SRSG Santos Pais welcomes the greater visibility given to the promotion and protection of children’s rights, including their right to freedom from all forms of violence, in the Ministerial Declaration of the 2017 High Level Political Forum on Sustainable Development. “The HLPF is an important opportunity to place children at the heart of the 2030 Agenda. The Declaration reaffirms the commitment of the international community to children, especially in ending poverty, ensuring healthy lives, achieving gender equality, promoting child participation, and eliminating all forms of violence and discrimination, including harmful practices. Only by placing children first in actions to implement the 2030 Agenda and investing in all dimensions of their wellbeing including a protective environment, can we realize its vision of a world free from fear and from violence” said Santos Pais. The HLPF is the United Nations' central platform for the follow-up and review of the 2030 Agenda for Sustainable Development. The 2017 Forum was the second since the adoption of the Agenda and included voluntary national reviews by 44 countries, and thematic reviews of progress on the Sustainable Development Goals. 2017 was the first year that the Forum conducted an in-depth review of a specific subset of SDGs. 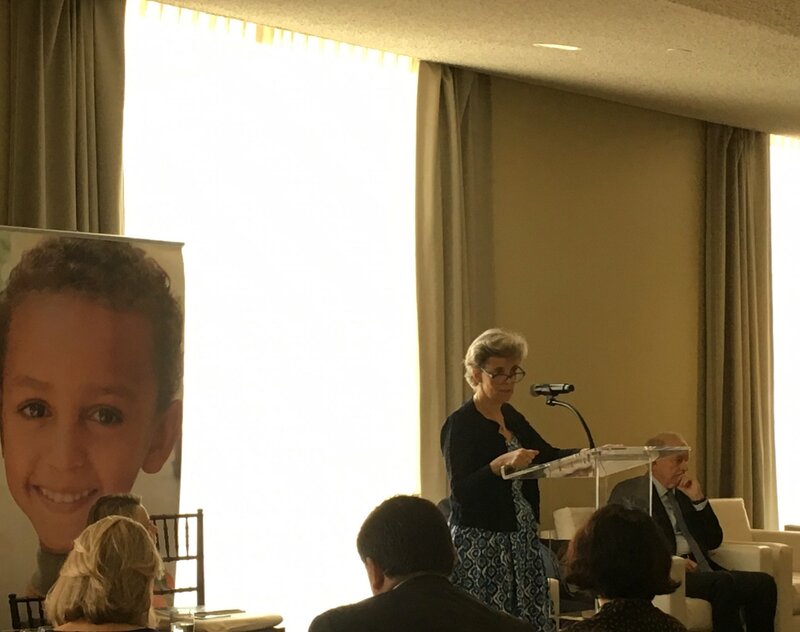 “This year’s HLPF had as its theme eradicating poverty and promoting prosperity, which is of special relevance for the prevention and elimination of violence against children. The national reviews provided a strategic opportunity to highlight and share the many good policies and practices towards preventing and ending violence against children. A number of the national reviews gave powerful examples of how strengthened social protection to address poverty mitigates the increased risks of violence children may face”, said Santos Pais. The Declaration also recognises the important role that regional and sub-regional forums have in supporting implementation of the 2030 Agenda and the importance of building on existing follow-up and review mechanisms at the regional level. This is a cornerstone of the strategy pursued by the SRSG to build on the role that regional institutions can play as catalysts of progress for the promotion of enhanced accountability for children’s rights, including their right to freedom from violence. The annual cross-regional meeting hosted by the SRSG will remain a critical platform to engage with regional organizations from around the globe on the prevention of violence against children.